Don McCullin is thought to be one of Britain's best photojournalists. Most famous for capturing images of war from the 1960s to the 1980s, he has worked for many prestigious publications. However, he spent most of his career taking pictures for The Sunday Times in its pre-Murdoch era. 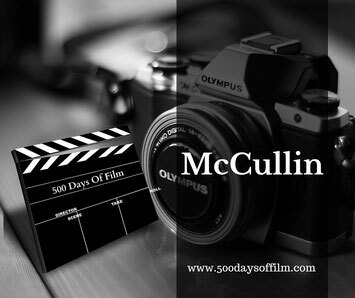 In this documentary, McCullin tells his story to another camera and via his most stunning and disturbing pictures. This is a truly fascinating story of a man both obsessed by and also horrified by war. The film also looks at photojournalism itself - how the profession has changed and the heavy moral burden placed on the photographers themselves. McCullin is an incredible documentary. It is just amazing to think that one man witnessed so much - McCullin covered the wars and conflicts in Cyprus, The Congo, Biafra, Vietnam, Northern Ireland, Cambodia and Lebanon. What is doubly amazing is that he had the presence of mind to take such extraordinary pictures - enabling us all to see the horrifying truth of war. The film comprises McCullin himself talking to the camera, some video news footage of the events he experienced and the illuminating observations of Harold Evans, editor of The Sunday Times from 1967-1981. McCullin is mesmerizing. His delivery is so straightforward and matter of fact, even when he is describing some truly terrible events. He seems gentle and sensitive and yet there is an incredible toughness at his core. Born in Finsbury Park, North London in 1935, McCullin grew up amid deprivation and violence. His first aspiration was to be a painter and he won a junior arts scholarship. However, this dream ended when his father died and he had to go to work. As a hobby, McCullin started to take pictures of the places and people around him. What pictures they are. His flair for capturing the emotion and mood of a moment in time is clear. McCullin took a series of pictures of the boys that he grew up with. They were particularly newsworthy, having been involved in the murder of a policeman. He took these photos to The Observer newspaper. They were published and he was paid the “princely sum of £50 and in those days £50, where I came from, was like five weeks wages”. The paper asked McCullin to take more pictures. This was the start of McCullin's most remarkable, life long love affair with photography. In the film he looks back and thinks how lucky he was to have grown up in the 60s, 70s and 80s when “it was all happening - it was as if it was all carved out for me really”. This documentary left me feeling so grateful that he did “go there”. I know that I wouldn’t have been brave enough. McCullin's pictures feel as important now as they were when they were published. Deeply disturbing as they are, they show a vital truth about war and the impact of war. This is photography as art. This is photography as history. This is photography as memory. However, I do also wonder what McCullin’s career has cost him. He talks of becoming almost mad in the midst of all the chaos and death. His eyes have a haunted look about them when he recounts those days and he talks about his dark room as a haunted place. McCullin also hints at the impact his career has had on his family life. Meanwhile, it is fascinating to hear his near constant wrestle with the moral implications of taking pictures. Did he have the right to take photographs of murder and death? McCullin has faced criticism for taking photos when, perhaps, he should have been helping those in need. He brushes those criticisms aside. Yes he did help whenever he could (and there is much evidence for this) but he doesn’t like to brag about it. Throughout the film, I felt that McCullin's sensitivity to the situations that he found himself photographing. This comes through his pictures and his narration. He also displays great integrity. He would never stage a picture or take a photograph when it was not morally right to do so. 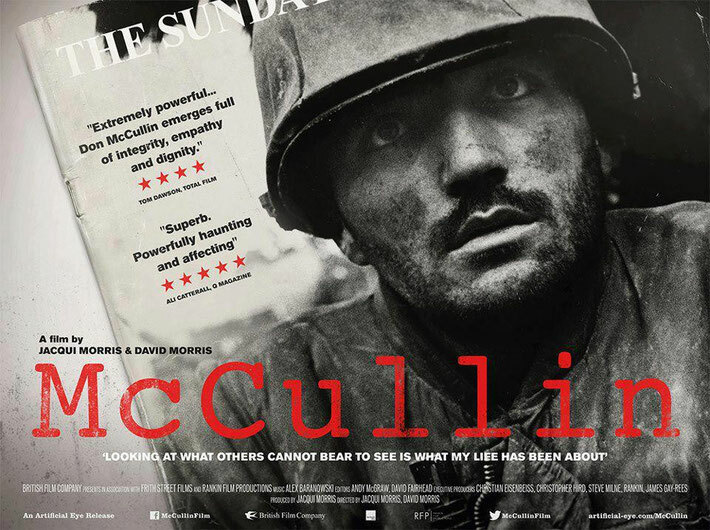 McCullin is a powerful documentary and a life story that will stay with me for a long, long time. The BBFC rated McCullin 15 for "strong images of real injury and death". Have you seen McCullin? If you have, do let me know what you thought of this documentary by leaving a comment in the box below.